You were able to fit so many wonderful things into the monkey box. Oh so adorable! 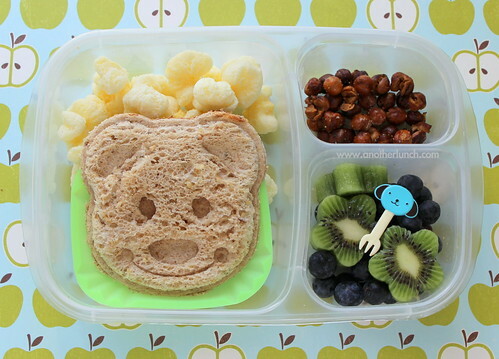 I am seriously in love with that bear pocket sandwich! 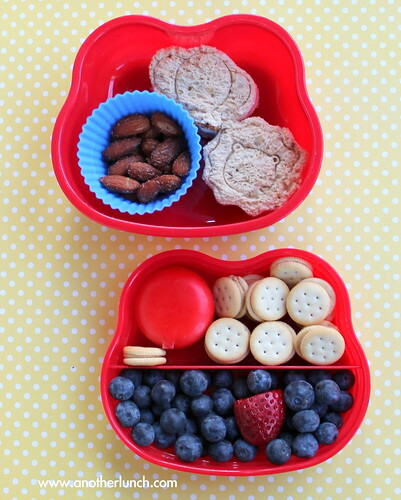 So very cute!That would be a great snack box for my boys after swim lessons. I finally got the jumbo muffin cups for my Byntos. LOVE them. They have them at World Market now. how did you resist the matching monkey backpack lunchbag? Kat - I didn't even look at them! That makes it easy to resist! I'd love to know what bags you're using for the kids to carry these boxes in. Is it the Easy LunchBox bags or have you been using something else! Hi Jennifer! 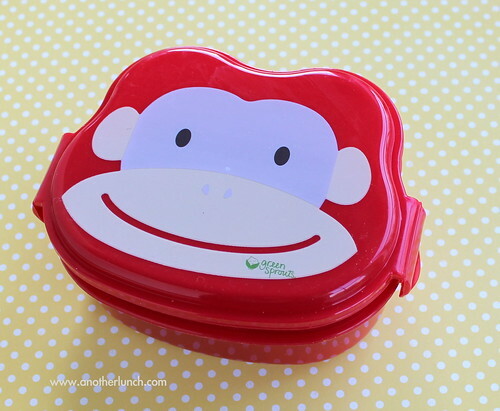 I use a few different lunch bags, especially for Paige, as she forgets her lunchbox at school or on the bus at least twice a week - so the backups come in handy! It depends a lot on what bento box I'm using. If it's a smaller box, like the money box, then I can use her Olive Kids lunchbox and still have room for her drink bottle. If I'm using a larger box, like an EasyLunchbox or Laptop Lunchbox, then I tend to use the EasyLunchboxes carry bag or the giant Go Green lunchbag, so that there is space for a drink. This post shows the lunch bags currently in rapid rotation: Lots of lunch bags on parade!